Home Hunting Barn Owl Decoy. Its large wings flap in breezy weather, mimicking the sound and movement of an owl. Quick and easy to set-up, simply slot the hunting owl onto any pole (pole not included). It is recommended to take the owl down in high winds or extreme sub-zero temperatures. 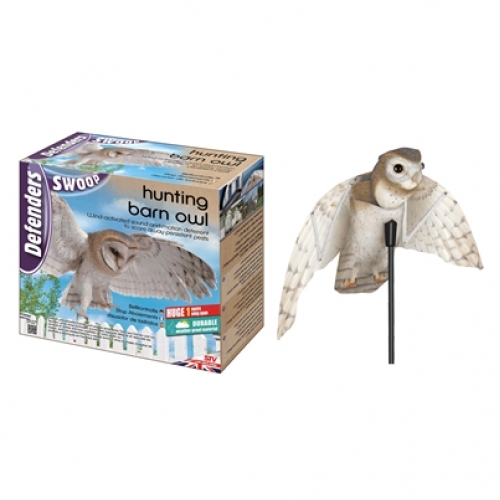 Lifelike owl deterrent repels pigeons, crows, squirrels and rabbits from the garden with the sound and motion of the wings.